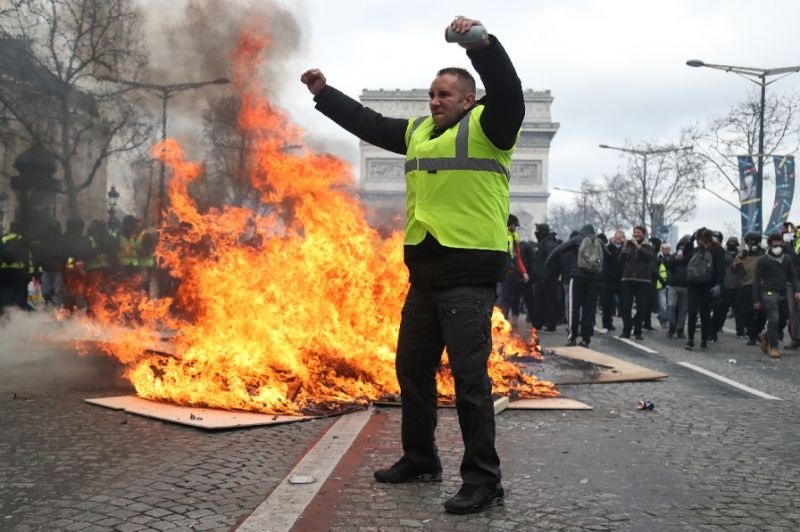 Paris (AFP) – Paris police said Friday that “yellow vest” protests would be banned on the Champs-Elysees on Saturday, a week after hundreds of anti-government demonstrators rioted and looted shops on the iconic Paris avenue. Protesters will also be stopped from entering streets surrounding the Arc de Triomphe, at the top of the avenue, as well as several nearby areas, including the presidential Elysee Palace and the National Assembly, the Paris prefect’s office said. “There are serious reasons to believe that violence and damages are likely during the scheduled demonstrations,” the office said.